Born in Sweden but headquartered in Malta, Fortytwo is backed by a multicultural team of messaging professionals, a robust technical team and 24/7 support agents. We’re proud to be GSMA certified, accredited by the Swedish Post and Telecom Authority and part of the Trillian Group. With solutions that focus on reliability and seamless integration, we partner with brands and enterprises in order to provide quality mobile messaging. Since 2001, our specialised team has developed a suite of messaging solutions at the best possible value. Our brand’s focus always was and always will be YOU – our client. As your partner of choice for delivering messages worldwide, we work tirelessly to ensure that we exceed your expectations and that our solutions bridge the gap between you and your customers. 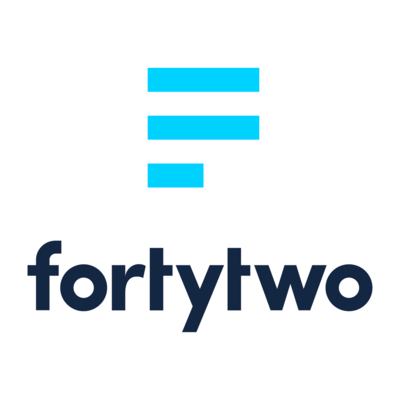 Our brand identity embodies our promise to keep our clients at the centre of everything we do at Fortytwo.